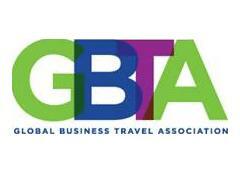 Event planners from Ikea and Cisco Systems are to speak at The Global Business Travel Association (GBTA)'s inaugural Meetings Lab in Paris. The event, which is aimed at the meetings and event sector and will take place between 10 and 11 November at the Principal Hayley Château Saint-Just in Paris, will also feature a presentation from AstraZeneca. Meetings Lab will be moderated by Chris Elmitt, the managing director of Crystal Interactive, while speakers will include Torbjörn Erling, Ikea Group’s meetings and travel manager, and Rob Leslie, Cisco Systems’ global events technical architect. The corporate duo will be speaking about effective "meetings architecture and design". Subsequent sessions will see presentations from Carole Poillerat, AstraZeneca’s global category leader for meetings and events, and Kevin Iwamoto, vice-president for enterprise strategy at Starcite. Paul Tilstone, GBTA Europe’s managing director, said: "This experimental event is attracting individuals who have a real passion for innovation and enjoy the opportunity to try something new in the meetings and events space. "This type of event is at the heart of GBTA’s approach to the sector, challenging and exploring the issues and methods of management we use."